Pay-per-click advertising is important for a complete and successful digital marketing campaign. Bing Ads helps you stay on the top of your advertising campaign by enabling you to reach a more robust audience, that results in an increase in ROAS (return-on-advertising -spend). How is the API based Bing Ads Connector Useful? Bing Ads plays a crucial role in helping customers, by storing the engagement data on Ads server. It allows customers to evaluate their performance through API extraction. The Bing Ads connector by Grazitti lets customers extract data to organize, manage and monitor the performance of the search-based advertisement on a digital platform. Bing Ads API is an excellent source of useful data to analyze the performance of effective campaign on Ad services and audience network. It also enables performance check on the keywords utilized in running Ad services. The data can let users to generate more traffic, and plan and track their campaigns better. It can be utilized to simplify advertising campaign management, from initial media planning to final reporting activity in any source or medium, multi-channel funnels and other attribution reports. The reports enable users to set Ad serving rules, in both CPA and CPC sessions. Alteryx users face several challenges while preparing reports for Bing Ads data and find it hard to connect the two. However, the good news for Alteryx users is that the data is now available in Alteryx via Grazitti’s Bing Ads Connector. Any Bing Ads account holder can login with simple account API credentials in Alteryx to get the required data. The connector is available for free trial for all Alteryx users at https://alteryxconnectors.grazitti.com/. The campaign and audience data from Bing Ads is very important to track the effectiveness of advertisements, in order to track the ROI (return-on-investment) on expenses. The data empowers sellers or service providers to identify the campaign in order to make a successful decision. The extracted data can be utilised to measure the holistic and integrated view of each running campaign. The example taken here is to identify the potential campaigns and its effects, through the investments made by advertisers. Sub-categorization leads to identify the potential users. Fetching and combining campaign data with its advertisement engagement can be used for preparing analytics reports. With the integration of audience performance in the connector by Grazitti, the account holders gain the ability to measure impressions on campaign and track the rate of conversions. For example, an electrical company with Bing Ads account got to see the failure of their recent campaigns. They decided to look into the depth of failure, through available metrics on campaign platform. With the connector, the customer can avoid the same mistakes to set future goals. It enables the customers to discover multiple ways to measure the effectiveness of campaigns. 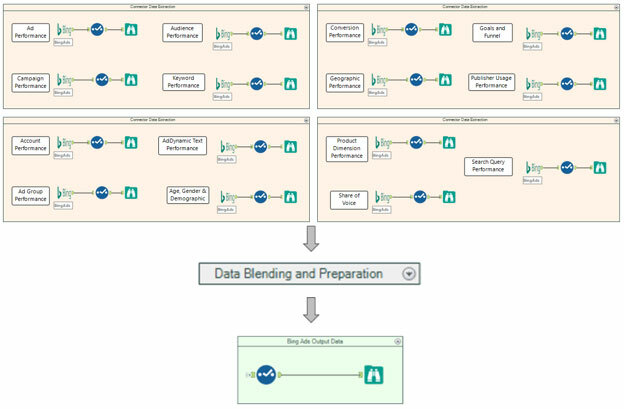 Since the connector is developed on the Alteryx platform, it widens the scope of data gathering in a customized format. The platform holds all the features of self-service analytics and enables the end-customers to do customization and make utility at reporting level. Report type have the option to get reports in multiple aggregation and time-based level. All callings are made under API level access. On most of the objects, the connector also gives a time filter to choose the desired time frame for which the user wishes to get data for. Many companies are engaged in advertisement to increase awareness, reach sales goals and building brand loyalty among customers. An effectual advertisement can change the attitude and habits of the consumers. Consumption of suitable keywords in advertising plays crucial role to affect the consumers. Whenever the prospect consumers search with matched keywords, Bing Ads runs the bidding process. Bidding on keywords determines the automated selection of advertiser to showcase their ads. Bidding also affects the CPC rate for particular campaign. The Bing Ads connector by Grazitti enable the advertiser to fetch the report of bidding, CPC and other details, which further leads to measure conversion rate and effect of related campaigns. 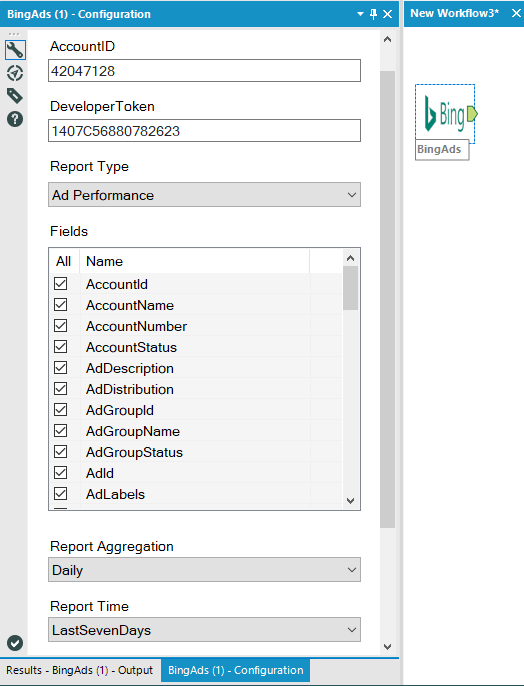 How Bing Ads Connector can be consumed on Alteryx Platform? Since the Bing Ads connector is developed on Alteryx platform, the scope of utilizing and blending data will boost the profitability for the customers. It allows the customers to establish a logical relationship between all key objects, that have scope from Bing Ads API. The connector by Grazitti enables the advertiser to measure the performance of four different entities, as Ads, Audience, Campaign and keywords. All entities will throw data, on time-based requirement. 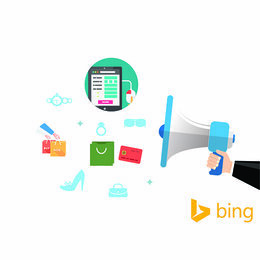 The Bing Ads connector by Grazitti, offers a unique feature of customization to meet the need of consumers. The following metrics are important to make a successful decision for any advertiser. 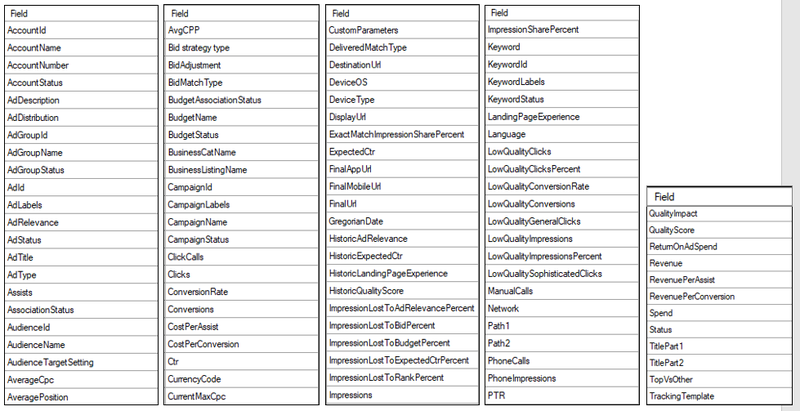 To summarize the utility of Bing Ads connector by Grazitti, following features need to be highlighted. Highly efficient and Intuitiveness: Enables the connector-buyers to update and automate campaigns within the targetted time, by streamlining all the types into one workflow. Cross-screening the audience capability: Using real-time data and powered by flood light activities, buyer have the ability to segment audience based on effectiveness. Customized Insights: Insights can be formatted and customized as per campaign, ad, audience and keyword performance, across multiple verticals of customer engagement. Please contact us at connectorssupport@grazitti.com if you would test the connector by utilizing workflow with the trial version of the connector.